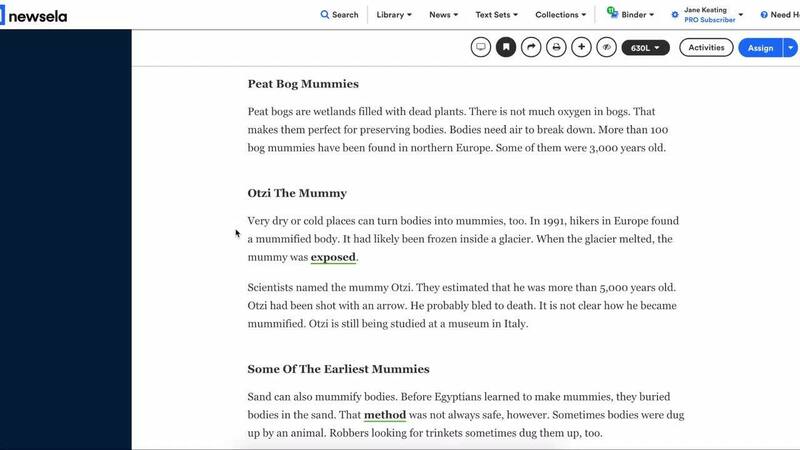 Teachers can customize Newsela assignments with Class Instructions, Annotations, and Writing Prompts. In the rest of this section, you can find instructions for using these features. This will take you to the assignment page, where you select the class (or classes) for the assignment. You’ll also see two optional steps: Adding instructions and adjusting the reading level your students will see. This will take you to the assignment page, where you select the class (or classes) for the assignment. You’ll also see three optional steps: Adding instructions, adjusting the reading level your students will see, and removing articles. Note: To assign a group of articles not already in a Text Set, go to Your Text Sets and click Create New Text Set. Then follow the steps above to create an assignment from your Text Set.